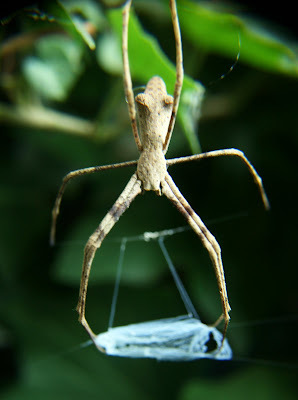 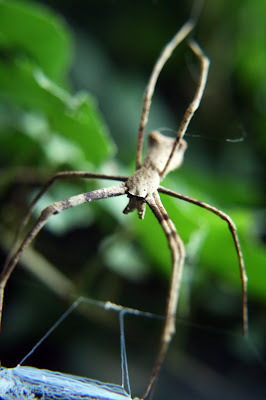 After some research on the internet, I found that he is a Net-casting Spider or Deinopis subrufa. The third pair of legs has threads to stabilise the "net". 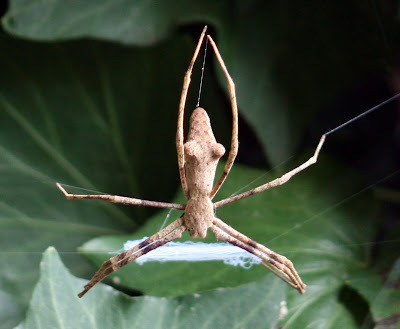 The fourth pair of legs are used to hang onto its support. 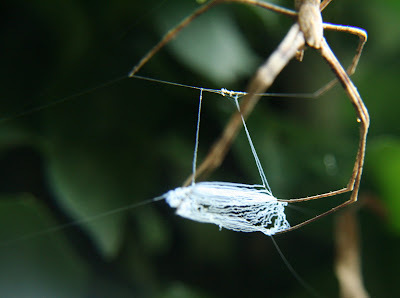 When a passing insect comes near the net it splats it over the victim, and tangles it in the trap. 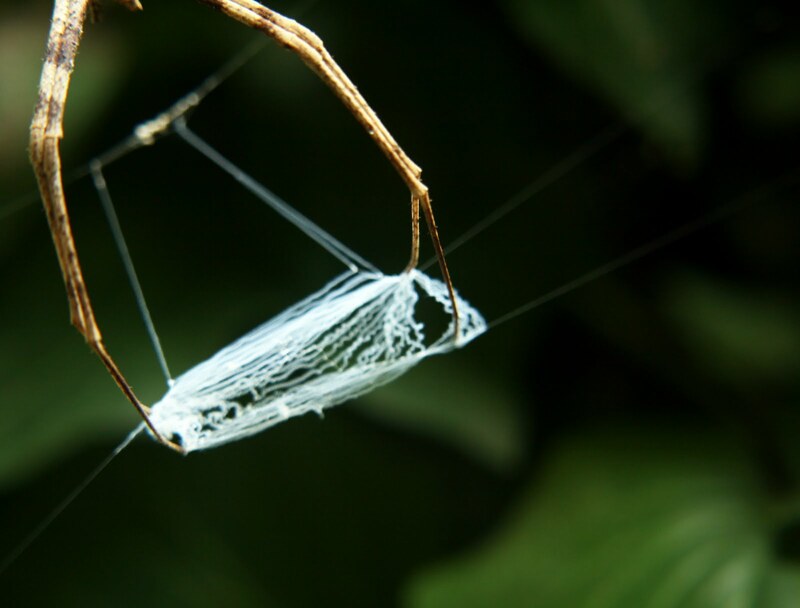 These photos were taken in the morning and I think the spider may have been asleep, so the net in these photos isn't as taut as when it is actually hunting.